West Ham United manager Manuel Pellegrini has confirmed that midfielder Samir Nasri is out of Monday’s game against Liverpool. The Frenchman hasn’t been seen since playing against Bournemouth last month, and Pellegrini confirmed at his pre match press conference, as cited by journalist Sam Inkersole on his personal Twitter account, that he won’t feature against the Reds. Manuel Pellegrini’s side have struggled to find a creative spark without the former Manchester City man and it appears that they will have to do without him once again against the Reds. The 31-year-old joined West Ham in early January and has since made three appearances for the club. This is a big blow for West Ham. Without Nasri much of the creative burden falls on Felipe Anderson, and if the Brazilian isn’t at the top of his game there aren’t too many other players who are able to step up to the plate and make things happen. 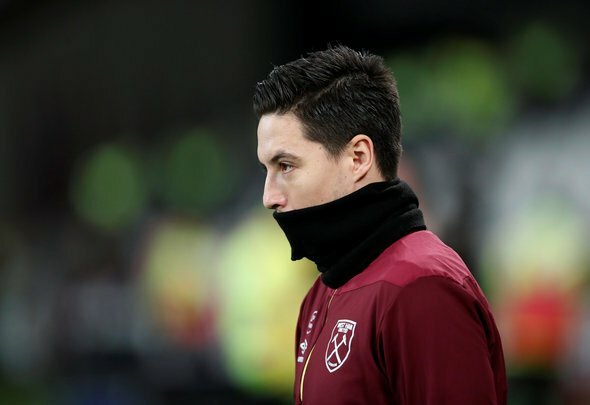 Nasri’s absence has been sorely felt in the last couple of games as the Hammers have toiled without a spark in their attack. To now go up against the Premier League leaders without one of your most creative players is a heavy blow. The task was going to be tough enough for the Hammers without this setback – it’s now going to be immensely difficult. We saw in the Crystal Palace game that this Liverpool team can be got at if you have the right players, but with Nasri out it’s doubtful that the Hammers will be able to do that. It’s strange how important the Frenchman has become in such a short space of time in East London, but that tells you all you need to know about the lack of depth in Pellegrini’s squad at the moment.